Does your CAD team use AutoCAD or BricsCAD software? 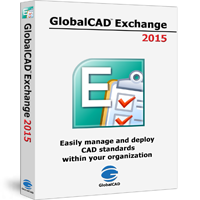 GlobalCAD Exchange helps you deploy CAD standards with ease and enables instant messaging for the entire design team. GlobalCAD Exchange enables you to manage and deploy custom menus across your AutoCAD or BricsCAD user network. Incorporate company layering standards, links to CAD documents or even load third-party applications including LISP and ARX files - all at the click of a button! GlobalCAD Exchange also meets the messaging and collaboration needs of today's design business. The network services feature enables CAD users to see exactly who is working on what drawing in real-time. More than this, users can send and receive instant communications relating to drawings including requests for ownership of DWG, DXF and DWT files when needed. With these collaborative tools, GlobalCAD Exchange enables fast access to the design team members and drawing data you want, anytime and anywhere within your organization. 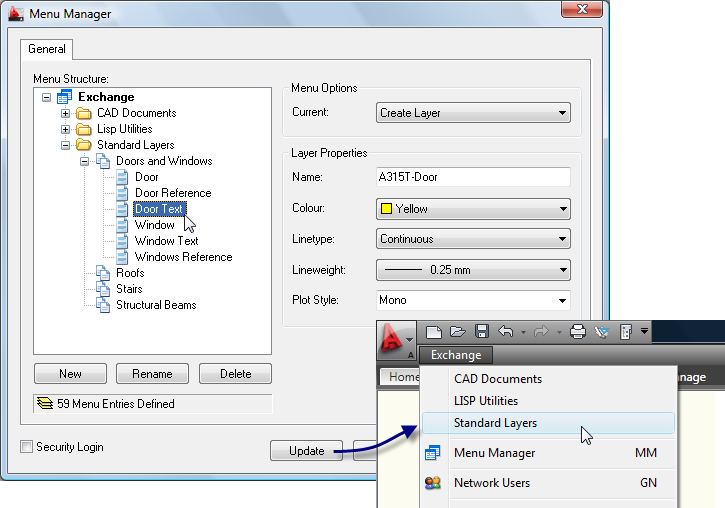 Easily and quickly create custom menus inside your CAD system and share them with the entire design team. Utilize menus for the deployment of company layering standards. Publish links to company documentation or web pages. Load third-party utilities e.g. LISP, ARX. Administer live menu updates at any time from a central location. Determine who has particular drawings open with live ownership reporting of all DWG, DXF and DWT files. 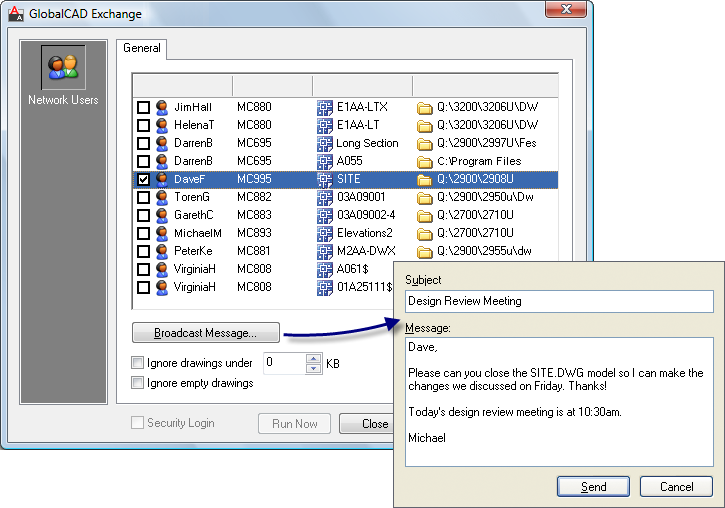 Send instant messages to design team members directly within CAD or broadcast messages to user groups. Review design team activities in real-time. Save valuable time! Bonus network tools help manage shared blocks, design details and plotter settings. Available from just US $235 / GBP Â£149.